Learn the exact strategies on how to make money blogging for beginners! Whether you're new to blogging or are just struggling with your blog's growth, this Blogging Mastery Guide is the perfect solution for all your blogging related queries. If you haven't started a blog yet and are looking for a reliable resource on how to make money with a blog, we've got you covered. Similarly, if you have already started a blog but are struggling in making money off blogging, you're at the right place. For your convenience, I have divided all the make money blogging strategies you need to earn money by blogging into easy-digestible sections. Blogging can be really overwhelming when you are just getting started. Having the right resources and blogging tips is very essential to reap all the benefits of blogging in the best way possible.. Here are some of the best blogging resources to help you get started with creating and launching your first blog, the right way. How to start a money-making blog - Can't decide your niche? 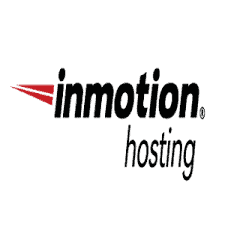 Have problem selecting the best domain, blogging platform and hosting? Choosing the perfect hosting for your blog - Choosing a reliable hosting for your new blog is very essential. Make sure you choose one that is affordable, reliable, has a good customer service and is faster than the fastest hosting. Some of the best are here, here, here and here (my most recommended + get 56% discount). 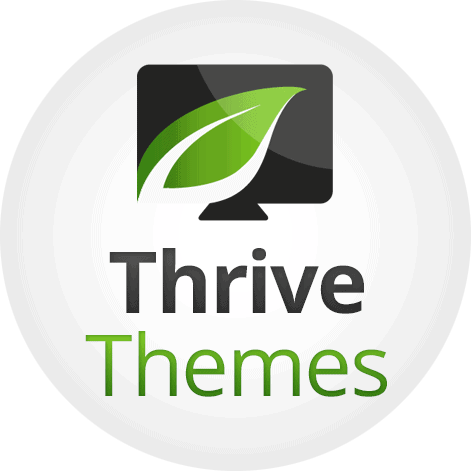 Choosing the perfect theme without denting a hole on your budget - A perfect WordPress theme is perhaps the most essential thing after creating your blog. Having a clean, fast-loading, SEO-optimized and secure WordPress theme is the first thing I recommend new bloggers. 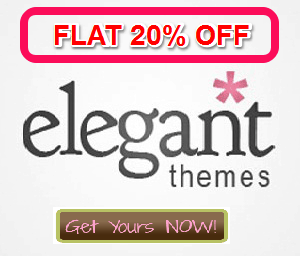 Check out Elegant themes that are the best sellers yet affordable (about 80 themes for $69). Best free WordPress SEO plugins to use - List of SEO plugins ranging from Yoast to local SEO to sitemap plugins (NOTE: Use only the ones you need). Things to do before publishing your blog posts - This lesson includes some of the blog writing best practices that you should follow and things to check out before publishing every single blog post. Follow it to avoid feeling puke-ish when hitting that publish button. Grammarly Review - Grammarly is a free online grammar & punctuation checker that you should definitely use to write grammatically correct blog posts. How to write your posts even if you've handful of readers - When you are just starting out, it takes time to grow a following. That's normal. Everyone has to pass this phase. This super-small article will let you about how you are making a positive difference even if you haven't attracted a blogging audience yet. Do you think your blog is going nowhere? Are you still struggling with driving traffic to your blog and, even more importantly, ​converting that traffic into leads and sales? The exact types of blogs that make money are the blogs that are optimized for conversions. Here are some business blogging best practices and essential tips to grow your blog, get rid of that​ sound of crickets and build a community of real audience and raving fans. Perfect SEO strategy to get better rankings & outrank competitors - The exact SEO tips that can give your blog search engine exposure, reduce your bounce rates, keep your visitors engaged & increase your dwell time. Learn basic to advanced SEO by which you can get traffic to your site, and convert that traffic into leads and sales. How to build quality backlinks to your blog - Backlinks are utmost necessary if you want to build a authority blog that dominates the search engine rankings. Getting backlinks naturally from authority sources makes Google see your site as a authority too. How to direct traffic to your website - The pocket guide to identify different potential traffic sources and drive traffic to your blog the right way. How to increase your Google ranking - Getting higher ranks for your targeted keywords is the best blogging tip anyone can give you. 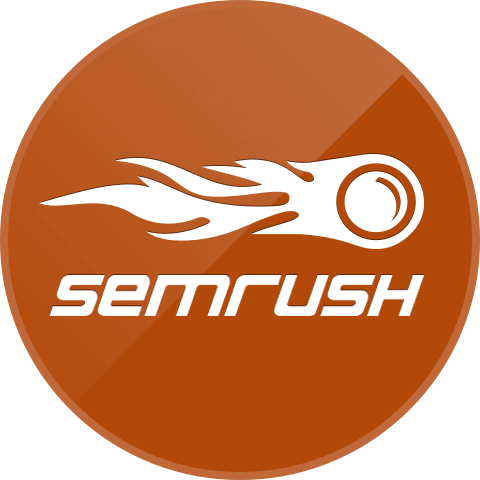 Here is how to increase your blog position in the SERPs. How to give your blog an authority presence - Giving a branded authority feel to your blog is utmost necessary to gain trust and credibility from your blog readers. Involves tips to use a better content strategy, better social media and branding strategy in addition to SEO. Relationship marketing strategies for bloggers - You cannot survive one off. You have to build relationship with your peers and readers alike. As they say your network is your net worth ,so make sure you build a great community of fellow bloggers and readers who are ever-ready to promote your blog/products to their network for free. Blogging ideas for beginners that make money - In order to outrank your competition and make money from blogging, you need to know their strategies. Instead of wasting time finding new keywords for getting traffic and sales how about knowing the exact list of keywords that bring traffic to your competitors' site? In this tutorial, you'll see how to steal competitor keywords, check their top ranking pages in terms of traffic, see their backlink sources and make money by targeting their best performing blog content. Step 1: If you're a beginner, start by getting a domain and building your own blog. Step 2: After the initial setup, write a few posts targeting phrases people are searching on Google. Step 3: Do a bit of marketing for your blog to give it more exposure and traffic. Step 4: Take a minute and consider how you can earn money from your blog visitors. Create a audience persona to find out who your blog visitors are. These methods are easy to make money for beginners since you'll be having less traffic to earn via ads or other methods. Step 6: When your blog grows a bit, you can try other blog monetization techniques like affiliate marketing, email marketing or even selling your own products. Step 7: Other ways to make money by blogging for beginners is usually by using a cost per click based ad network (these can be AdSense, Media.net (if you sign up through that link of media.net, you'll get an extra 10% above your normal income for your 1st 3 months!) etc) or in text ad program like Infolinks. Whether you're blogging for passion or looking to make a living out of your blog, earning money is the first task after setting up your blog. You need money to run your blog on the backend (hosting/plugins/tools) and most importantly, you need money to compensate your time investment. I make a living online from the revenue generated by my blogs. If you're wondering how to make money by writing a blog, here are some of the best tips to monetize your blog and blog for profit. Get more from your existing visitors with conversion optimized blog - Before aiming at different sources of making money from your blog, you should first aim to make your blog efficient to get the most revenue per visitor at the present condition. How to make money with in-text ads - Infolinks has been a popular AdSense alternative and a great way earning money from blogging with text based ads. High-paying affiliate programs for bloggers - A list of top affiliate programs that have high commission and can help you make money with affiliate marketing. 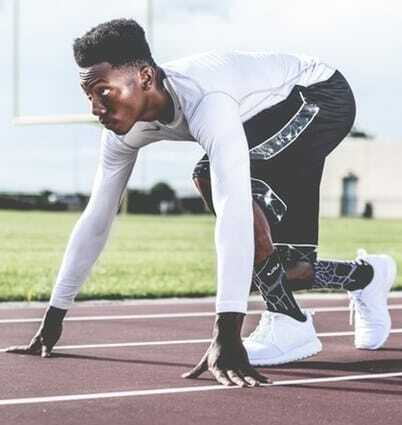 How to increase sales with scarcity marketing - Using scarcity marketing & countdown timers are the best way to profit by creating the sense of limited resources by bloggers and marketers. Learn how to do it on your blog and boost affiliate/services sales. The one thing I regret not starting early enough is email list building. If you think your blog is too small to be building your email list, you my friend, are wrong just like me. 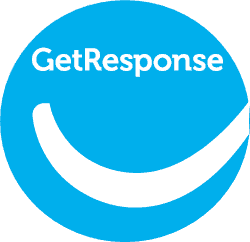 You don't need 1000s of visitors to start collecting emails,​ getting small number of quality subscribers is all you need to secure your game from Google or any other external factor. When you're having a ​number of email subscribers, you can get more traffic without relying on rankings or social media ad campaigns, you can sell them your affiliate products (of course you wouldn't want to spam them) or pitch them your future product/service. The benefits of email list building are numerous. Choosing the perfect email service provider - Choosing the right email marketing service that has a reliable autoresponder, is affordable and has other features is very essential. Check out my recommended ESP provider. Using Quizzes for lead generation - Quizzes are always interactive and boost user engagement on your site. They get a lot of shares and are often the best way for lead generation or product sales by recommending a product that matches their result at the end. Learn how to create Buzzfeed style viral quizzes for lead generation. How to create exit-intent popups, content upgrades and 2-step optin forms to collect subscribers? - The only tool you need to create pop ups, content upgrades, A/B split test email forms and generate leads from your blog. How to build content upgrades and landing pages that convert like crazy? - Don't have coding skills? No budget to shell 1000s of dollars for creating landing pages? 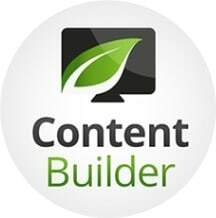 Here is the exact process I use to create content upgrades & landing pages in minutes and that too using drag and drop landing page builders. Affordable and fast! Making money with a blog is nothing like writing a blog post and getting paid for it, you have to discover what works with your audience and how to convert them into your raving fans. This is when you can monetize your blog by selling them products and services. This Blogging Mastery Guide is incomplete without the mention of common precautions and mistakes to avoid. Blogging certainly is a trial and error business and it gets worse if you're self-learning or doing it from scratch. But, you can lessen your chances of doing mistakes by learning from the mistakes I made and taking a lesson from it. Make sure to leverage these blogging tips and lessons that I wish I knew when i started. Blogging mistakes to avoid - Building a successful blog from scratch. Make sure you aren't making these mistakes that can cost you traffic and sales from your blog. #3 on the list is what I regret maximum because it kept my blog growth starved for quite a long time. But you don't need to. 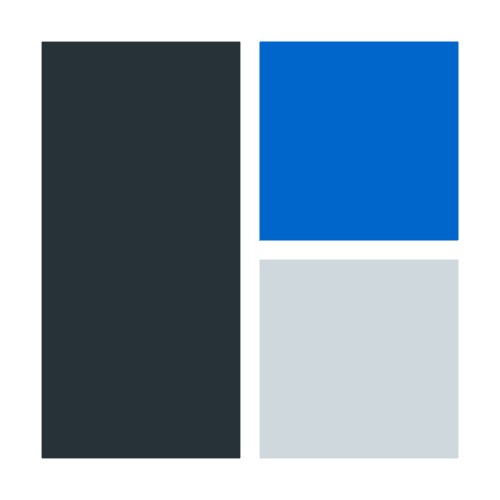 Just read my tips on building a successful blog from scratch. Marketing mistakes to avoid - Worried about why your blog is not getting the right amount of exposure? Thinking of possible reasons for not making as much money from your blog as you thought? Marketing your blog the right way takes a lot of effort and strategies. I have listed some of the most common marketing mistakes that bloggers make. Are you struggling with building your brand on social media platforms? Do you find it hard to drive traffic from social media or even leverage your audience on social media channels? In this blogging tips and resources , I'll show you how to exactly build a brand presence for your online business on social media. Not only that, we'll discuss how you can drive traffic from social media sites like Facebook, Twitter or Pinterest for that matter. List of most popular social media sites - A list of high converting and most popular social media sites that bloggers and small business owners should be focusing on to create a brand and generate social media leads. How to be yourself on social media - Why it is important for bloggers to be original on social media platforms and how to present your real brand on social media. How to get free likes on Facebook and drive traffic - 9 of the best tricks including my favorite Facebook hack to get more organic likes, clicks and shares from Facebook without spending on ads. 39 more ways for Facebook marketing - How to promote your business on Facebook for free even if you're a socially awkward brand. How to build a brand on Twitter - Twitter is one of the largest source of referral traffic for most blogs. If you're a blogger you should definitely check out this scientifically proven guide to building a brand and following on Twitter. 19 ways to pin a tweet for traffic & sales- 19 innovative and working ways to use the pin a tweet feature of Twitter to generate more traffic, get more clicks, retweets and even lead generation from Twitter. ​No matter what stage of blogging you are. No matter you're a newbie, a blogger struggling to give his blog the momentum it requires or a veteran probloggger, this guide contains tips that will help you turn your measly blog into an authority money-making machine. Because this is the exact strategy I use to grow from blogs​ from scratch and make a living out of them. So, if these blogging tactics and strategies work for me, chances are they'll help you lift your blog too. So, that's it in the Blogging Mastery Guide. I will keep updating this resource with more updated blogging & SEO tips, and tips on email marketing and social media marketing. Make sure to bookmark this page to stay ahead of the crowd. What ways of blog monetization have you tried? Where are you getting stuck? Leave a comment below and we can work on it. Making money from blogging is certainly not easy, but it's worth every hassle. Wondering how much money can you make blogging? Listen, if I can do it, you can do it too! Just remember how do you eat an elephant? One bite at a time! P.S. IF you have any query or discussion to be made on this topic, click here and add your questions and views in the comments section.